Since her 1999 arrival in Southern Caliornia, Dr. KuanFen Liu has been focused on building community in the performing arts in Ventura County. In 2004, this community building led Dr. Liu to found both the Channel Islands Chamber Orchestra (CHICO) and the Channel Islands Choral Association (CICA). These organizations are expressions of Dr. Liu’s vision of bringing classical music to a broad range of audiences and educating communities on its value and versatility. The Channel Islands Chamber Orchestra features professional musicians who live and perform in Ventura County. Under Dr. Liu’s leadership, CHICO provides ten concerts annually for audiences throughout the Ventura County. CICA is affiliated with California State University Channel Islands and has singers from all over Ventura County. Performers also include faculty, staff members, students, and alumni from CSU Channel Islands. As part of Dr. Liu’s artistic direction, both CHICO and CICA engage in extensive outreach, including performances at schools, nursing homes, and correctional facilities. 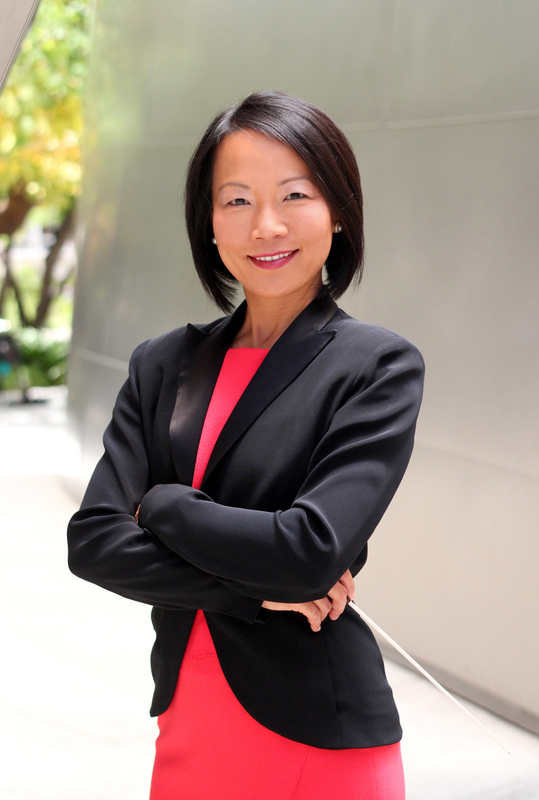 Since 2004, Dr. Liu has been on the faculty of the Performing Arts Program at CSU Channel Islands, where she teaches Music Theory, Music Appreciation, Music in History, and other performing arts courses. She was also the Chancel Music Director at First United Methodist Church in Ventura, a post she held between 1999 and 2016. As Chancel Music Director, she oversaw music planning for traditional worship, prepared and directed the Chancel Choir for Sunday worship, annual concerts and musical outreach. Originally from Taiwan, Dr. Liu began her study of piano and music theory at the age of five, and not long after added violin and voice training. She holds a Bachelor of Fine Arts in Vocal Performance from Tunghai University in Taiwan, a Master of Music degree in Conducting from the Eastman School, and a Doctor of Musical Arts degree in Choral and Sacred Music from Thornton School of Music at USC. As a student, Dr. Liu received numerous scholarships and honors, including the USC Scholarship of Merit and Teaching Assistantship and the Choral and Sacred Music Department Honor Award. Dr. Liu has participated in some of the finest music ensembles and workshops throughout the country, including the Robert Shaw Carnegie Hall Workshop Chorus, and has toured internationally. While at USC, she toured with the USC Chamber Choir and competed in European Grand Prix Choral Competitions in Spain and France and in a European Regional Choral Competition in France. The chamber choir was awarded the Grand Prix in 2001. In the summer of 2006, Dr. Liu was one of the twelve people chosen to work with the world-renowned German conductor Maestro Helmuth Rilling in the prestigious Oregon Bach Festival, where she rehearsed and conducted the festival chorus and orchestra. Dr. Liu has studied choral conducting with William Dehning and William Weiner and orchestral conducting with Mark Gibson and David Effron. She has also participated in masterclasses and workshops with Robert Shaw, Charles Dutoit, Helmuth Rilling, Joseph Flummerfelt, James Jordan and Dale Warland. Dr. Liu currently lives in Camarillo, California with her husband, the Rev. Jimmy Huang, and their daughter, Terilyn Huang.